The incorporation of expert knowledge into multiobjective optimization is an important issue which in this paper is reflected in terms of an aspiration set consisting of multiple reference points. 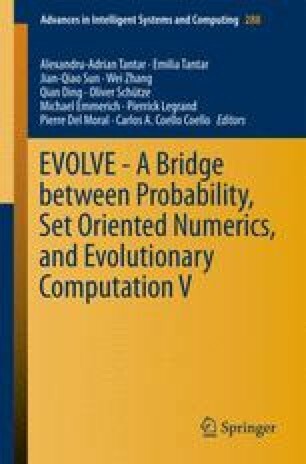 The behaviour of the recently introduced evolutionary multiobjective algorithm AS-EMOA is analysed in detail and comparatively studied for bi-objective optimization problems w.r.t. R-NSGA2 and a respective variant. It will be shown that the averaged Hausdorff distance, integrated into AS-EMOA, is an efficient means to accurately approximate the desired aspiration set.